Steel Mark was established in 1981 by our founder, Mr. Liu. 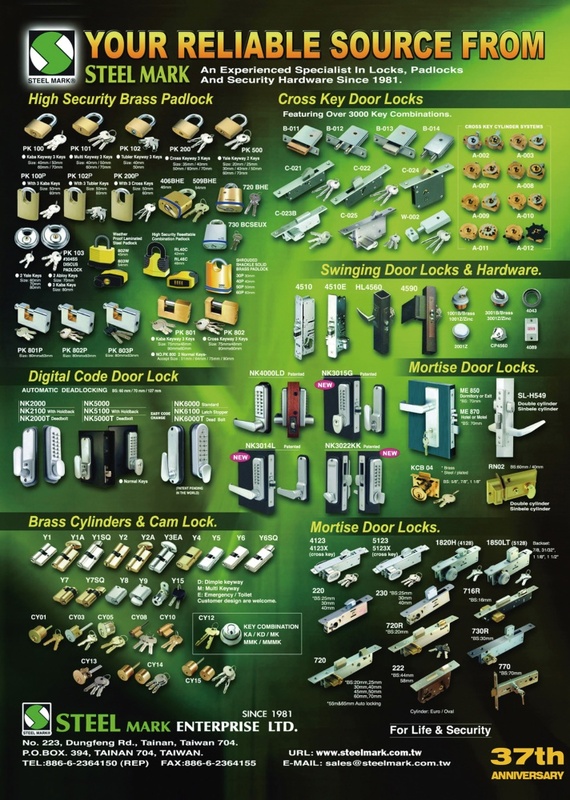 We are experienced specialist in locks, padlocks, and security hardware. Currently, we have more than 400 staffs in both Taiwan and mainland China to provide authentic, fast and gratified service to our regular patrons and new buyers around the world. Mr. Liu, our funder, and our engineers never stop on designing and producing technical innovations in locks and hardware for the past three decades. Therefor , Steel Mark not only dedicates the best service and the fastest OEM / ODM order to our global customers, but we also producing your order in our 3,300 m2 , ISO 9001:2008-certified combination production facilities at both Taiwan and mainland China factories to satisfy with your requirements. Business Type: Export Manufacturer and Exporter. With three decades’ experiences in manufacturing various types of locks and hardware, not only our quick service but also quality products have satisfied numerous customers in Europe, North America, Asia, Oceania and Africa. Steel mark can always provide our customers quick prototyping services and precision productions because of our experienced designers and well formation of production ling. Steel mark has the well quality management system and the experienced designing team to quick response your demands. 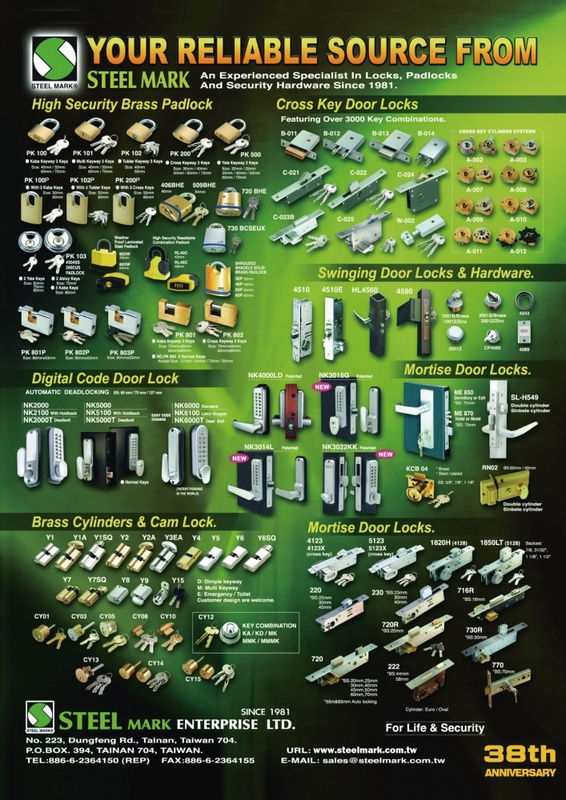 Moreover, our ISO 9001:2008-certified combination production facilities factories in both Taiwan and mainland China, and we maintain a product acceptance rate above ninety-nine percent while turning out up to 50,000 locks and 100,000 pad locks monthly. Now, tell us what are you looking for and specification in a door lock, padlock or other type of security hardware, and we’ll produce a counter sample based on your requirements in just 2~4 week. Once you’ve approved the sample, our 400 staffs will carefully complete your orders, and we guarantee completion of your orders in 30 to 60 days. Turning your idea designs became reality fast! Contact us today to discuss the details of your next OEM / ODM order.